The Town of Milford will be holding a Special Town Election on Tuesday, September 19, 2017. Polls will be open from 8:00 a.m. to 8:00 p.m. 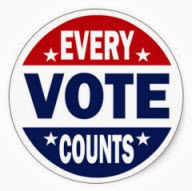 If you are unsure which precinct you are in, please call the Town Clerk’s office at (508) 634-2308 or enter your address in the Secretary of State’s website. 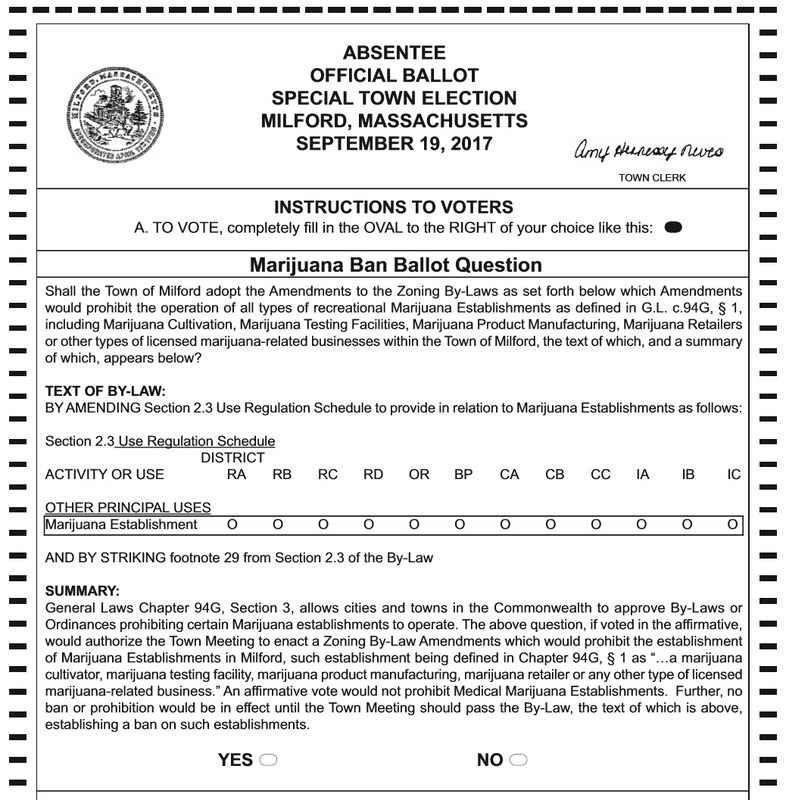 On the ballot will be ONE question, which asks voters whether or not they want to allow recreational marijuana establishments to operate in Milford. Massachusetts voters approved the use of recreational marijuana through Ballot Question 4 in November 2016. This law allows adults 21 and over to possess, grow, and use marijuana for recreational purposes. Possession and use of medicinal marijuana as recommended by a doctor was legalized in Massachusetts in 2012. Per Massachusetts law medicinal marijuana can only be purchased at a medical marijuana treatment center. Massachusetts and Maine will be the first states in New England to legalize the use and sales of recreational marijuana. Other than Washington, D.C., no other states along the East Coast have legalized recreational marijuana. Recreational sales will be legal in Maine in February 2018. Sales in Massachusetts will be legal July 2018. Read the original Massachusetts law (Chapter 94G: Drug Stewardship Program) here. Read the revisions to the law in the House Bill (3818) signed by Governor Baker on July 28, 2017 here. The ballot question to be voted on September 19th in Milford has NO IMPACT on anyone’s personal freedom to possess, grow, and consume medical marijuana OR recreational marijuana. The question provides Milford voters the opportunity to opt out of hosting recreational marijuana establishments in our community. This option was included in the Massachusetts legislation that was approved by voters. Editor’s Note: The following ballot sample is the final version, which was changed due to the revised state legislation signed by Governor Baker on July 28, 2017. To download and print a copy of the sample ballot, click here.